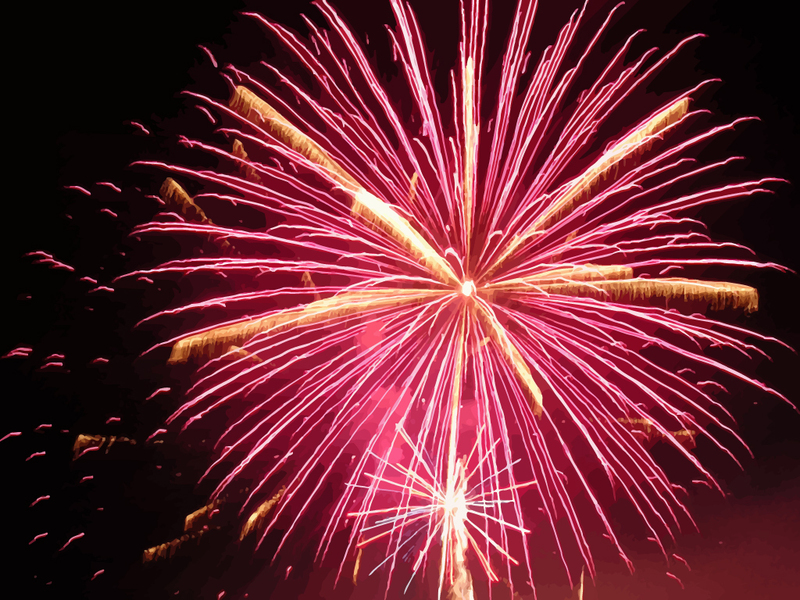 The other night as my husband and I set out on a stroll around the neighborhood with our dog, Dora, we found ourselves in the midst of a celebration featuring fireworks. Never have we seen so many displays of pyrotechnics; which to my mind is equal to setting fire to piles of cash as an invitation to encouraging a law enforcement visitor. Our little town forbids any fireworks other than hand-held sparklers and firecrackers. What are we if not a nation of independents with a history of law bending and breaking? Don’t like the tax? Have a tea party. Think the monarch sees the colony as his personal cash cow and sets unreasonable goals and tasks from afar? Get a hundred or so of your closest buddies together and sign an animal skin. Call it the Declaration of Independence and be prepared to stake your life from the moment you give it your John Hancock. On a personal note, I consider fireworks more mess, smell and annoyance than beautiful, especially after being neck deep in research for a historical novel set in Germany of 1939. I am of a mind that some ordinary citizens, back then, could have used some American independent thinking. Don’t get me wrong, some brave people did. They paid with their lives trying to save those who could not save themselves. This research has also made me uncomfortable around fireworks. Instead of thinking the loud pops and explosions as celebration, I think of gunfire and bombs. My mind’s eye set a continuous loop of shivering naked people being lined up in front of a ditch and shot in cold blood. I think of civilians caught unwittingly in the madness, huddling night after night in bomb shelters wondering if their homes, businesses and all things familiar are being blown apart and burning above their heads. By day, living in fear as a self-proclaimed ruler shouts over the radio waves, claiming Europe as his to do with at will, while directing mass murder and persecution from afar. Am I caught in a research trap? Oh yes. Is it affecting my disposition and outlook? Again, yes. Despite the oppressive side effects, I discovered a few tips to help me cope. If the content is weighty, depressing or upsetting, look for other avenues of research that will present a positive side of the time era. For example, when reading “Anne Frank” made me blue, I watched “Freedom Writers”. When reading “Mein Kampf” got my brain swelling with indignation, I went and reviewed “The Righteous, the Unsung Heroes of the Holocaust” by Martin Gilbert. Take a reading time out. I Purposely hold a book I have been looking forward to reading for pleasure aside until I get through a determined amount of difficult research. Do something physical. Take a walk, play with the dog, scrub the oven or take up kick-boxing. Personally, I like karate and jujitsu. I have also toyed with the idea of zip-lining. Indulge in mindless TV watching and have a relaxing beverage. I watch reruns of “The Big Bang Theory” and drink wine. Have a conversation unrelated to the book or research. I like talking to my husband. We talk about anything other than our kids, home improvement, veterinarian bills, global warming, political correctness and how many pairs of shoes I leave beside the bed and in front of the living room couch. Never forget for a moment, sarcasm and a twisted sense of humor are a quick pick-me-ups. If you are in doubt, re-read this post. This entry was posted in Books, daily life, Writing and tagged fireworks, help, list, research, sarcasim, writing by PaddleCreekWriters. Bookmark the permalink. Zip-lining?? You go Girl! I’ll take the photos…while my feet are securely on the flat ground. Michelle beat me to it. ZIP-LINING!!!!! Wow. I am impressed. Add that to sarcasm and a twisted sense of humor and I think you have the ingredients for another book. 🙂 Fun post, Susan. Still toying. Get enough wine in me and about 10 more episodes of “Nazis, the Final Solution” and I won’t need the line. I’ll just jump. I’ll join the conversation — I’ve been zip-lining! It is awesome. I’ll go with you, Susan.